Ahead of this year’s PLSA Annual Conference & Exhibition on 17 October, Edward Bogira looks into what goes into making the event, and what we can expect in Liverpool this year. When I meet people who join the PLSA staff, I always talk about the pride we have in the Annual Conference & Exhibition. It’s the place we get to meet the greatest number of our members, to sit alongside you to learn from the excellent speakers our events team always find, to catch up with you and tell you about what’s going on at the PLSA – as well as enjoying the brilliant atmosphere in the exhibition hall. We also enjoy getting to see (or trying to, if we can find the time) Liverpool and Manchester. As readers of our fortnightly update PolicyWatch will know, so much of our work goes on behind the scenes as we make sure your views are heard and understood by decision-makers in government, Parliament and regulators. By contrast, we see our events as the physical manifestation of everything we do and what the PLSA stands for: bringing together the industry and other parties to raise standards, share best practice and support our members – so that we can all help everyone achieve a better income in retirement. We start working on the themes and outline of the event in February, before the Investment Conference takes place in Edinburgh. Our policy and research team works with PLSA members on our Councils and committees to decide which topics will generate the most debate and engagement – and help you do your jobs better. This year it’s all about savers and their perspectives on pensions. Do we know them well enough? Are we designing schemes and services that they want? Are we doing enough to help them understand pensions and lifetime savings? It’s a rich area at the moment. Effective engagement and guided retirement decisions are key components of our work on retirement income adequacy, as you can read in Hitting the Target. The newly-appointed Policy Board Chair, Emma Douglas of LGIM, will be talking about that on the opening day, after we’ve heard about how to understand often idiosyncratic consumer behaviours. There’s also a ‘pensions den’ session, with Francis Goss from AHC and Vincent Franklin from Quietroom pitching their member engagement ideas to a group of decision-makers from across our membership. Pensions Minister Guy Opperman MP is one of the highlights of a busy Thursday. 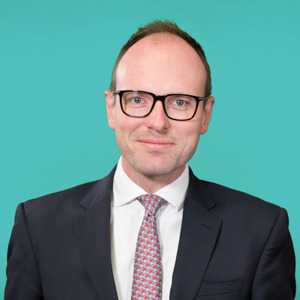 He’ll be talking about DWP’s thinking on collective defined contribution, the possibility that trustees will have a legal imperative to consider ESG issues, and his ideas for a midlife MOT to encourage saving and retirement planning. We’ll also welcome David Geale from the FCA and Lesley Titcomb, the TPR Chief Executive who recently announced she’ll stand down in 2019, to talk about the regulatory system as pensions continue to change rapidly. Could the next big development be consolidation? Lesley’s recently-appointed colleague David Fairs will look to the future of DB. And we’ll be looking at future generations of savers too, with economist Noreena Hertz setting out what we can expect from today’s teenagers and university-age young adults, also known as Generation K (after Katniss Everdeen from The Hunger Games). Will they get a good deal from their pensions? Intergenerational fairness has been a hot debate for a few years, and we’re pleased to welcome back David Willetts, Executive Chair of the Resolution Foundation, to tell us how we can create it. He’ll be with us on the Friday morning, along with two other intellectual big-hitters, Andrew Marr and Matthew Syed. Andrew will share his insights on where Brexit is heading, while Matthew will round off the conference on theme, looking at how a growth mindset can improve pension scheme member engagement. If you’ve been before, you’ll know the conference isn’t restricted to the speakers in the main auditorium. The DB, DC, Saver Engagement and Pension Vision streams will bring you plenty of practical experience and advice, including on risk management, investment and communications, as well as the latest from the CMA and the PPF and more on what the future holds for savers. This year we’ll be publishing more of our popular Made Simple guides during the conference. We have a guide to cost transparency – another hot topic – from KAS Bank, HSBC will explain master trusts, bulk annuities are covered by Just Retirement, and currency hedging is the subject of a guide from Record Currency Management. They’ll be available online and on the PLSA stand from day one. Delegates can pick one up and come for a chat about our policy work, or perhaps get one during the Thursday night drinks reception in the exhibition hall, which will have over 80 stands and be the place to gather and (very importantly) enjoy refreshments and lunch for the three days. Our AGM will take place on the Friday morning of the conference as usual. This year we’ll be asking you to appoint new members to the reconfigured PLSA board and to approve the first members of the new Policy Board. We always want as many members as possible to come along and have a say in the way we run the PLSA – so we hope you’ll be getting up early! As you read this article, we’ll be putting the final touches to preparations. All of our speakers will have had a call to talk through how their sessions will run and what key issues they should pick up on when they speak – especially important for those outside pensions. Their arrival and movements around the conference centre are carefully coordinated to make the best use of their time and make sure everything runs smoothly. Coverage of their participation by the trade and national press needs to go smoothly too, so the press office is a key part of the event; it’s a busy organisation within the organisation that many delegates don’t get to see. Many speakers will also be interviewed in our studio in the exhibition hall, so we’re working with our film crew to coordinate that and to make sure we get great video content for our daily highlights and for members who can’t make the conference to watch online – either live on the webstream or later on our YouTube channel. Technology is a big part of the experience for everyone. We don’t stop working on improvements to our conference app, which you can use to build your own event schedule, submit questions for speakers, give feedback and find delegates you’d like to meet. There’s also a staff area of the app, which helps us coordinate our time so we can be there to give you the best experience possible. The feedback you give on the PLSA team is really important when it comes to measuring our performance. This is our flagship event, the biggest of its kind in the UK and the PLSA’s shop window, which means we want it to be the very best it can be. That’s why we dedicate so much of our year to it. Want to join us in Liverpool? Fund members attend for free and business members receive a substantial discount. Find out more and register here.